2 How can I display a 'Background Map' in the Map? 3 Is there any special condition to use the 'Background Maps'? 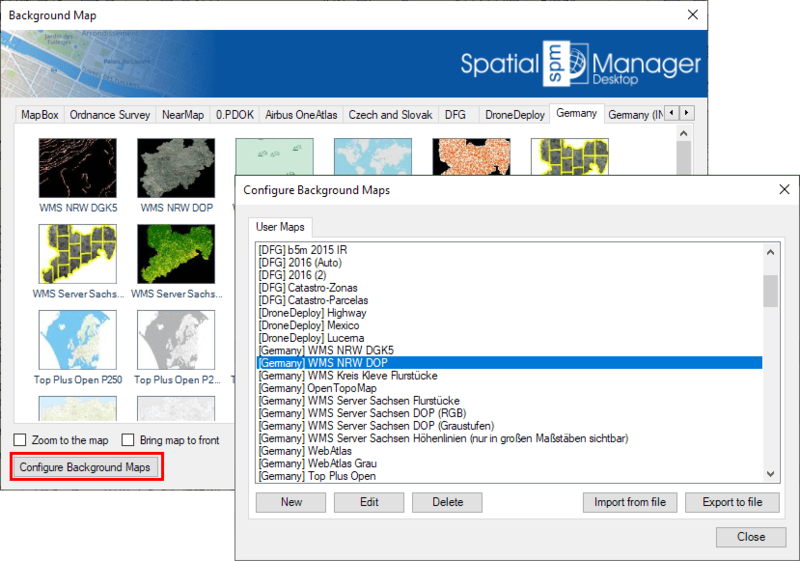 4 Can I configure my own Web Map Services? 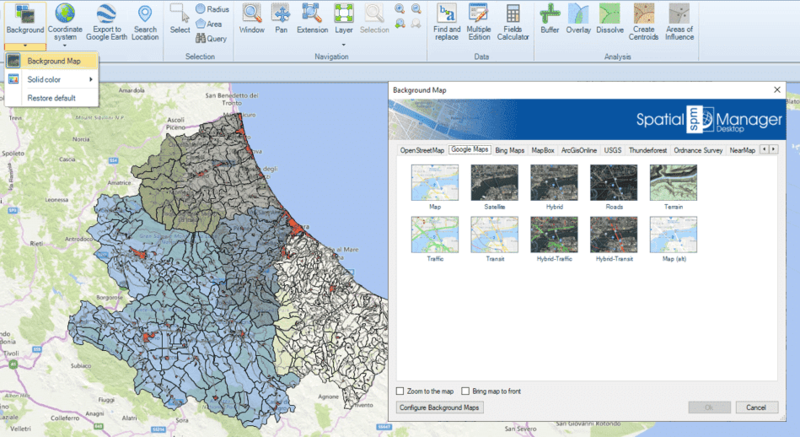 5 Does the 'Background Map' technology support Transparent maps? How can I display a 'Background Map' in the Map? If you add elements to your map after bringing the 'Background Map' to front, those will overlap the 'Background Map'. If you want to put the 'Background Map' back in the foreground, simply select it again and keep checked the option "Bring map to front"
Does the 'Background Map' technology support Transparent maps? This page was last modified on 11 April 2019, at 12:44. This page has been accessed 30,157 times.